After a (very) long blogging hiatus, I’m back! 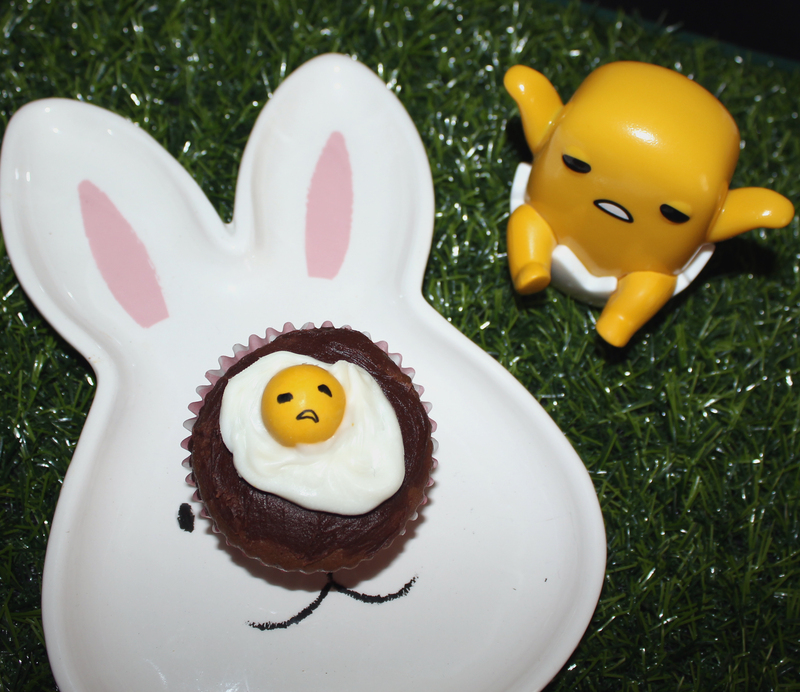 I could bore you with why I stopped blogging for so long, but instead I’m going to tell you how I created some simple, Gudetama Easter cupcakes. Gudetama (AKA The Lazy Egg) is a popular Japanese character, created by Sanrio. I thought that seeing as he is an egg, that he’s perfect for some Easter Cupcakes! I took a short cut with my Easter cupcakes and just used the chocolate Betty Crocker cupcake mix. First I chopped my Chocolate honeycomb balls in half, for the yolk. I used a serrated knife for this and didn’t have too much trouble, but there were a few casualties, due to the candy shell cracking. 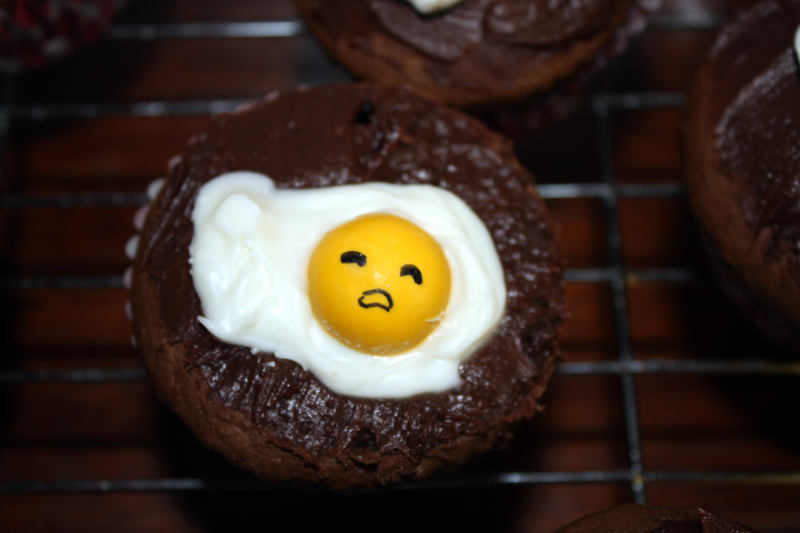 Then I drew on my little Gudetama faces on the yolks and let them dry. The ‘ink’ in the pen is just food colouring, but if you don’t like artificial dyes you could pipe the faces on with chocolate or dark chocolate, so it’s closer to black. 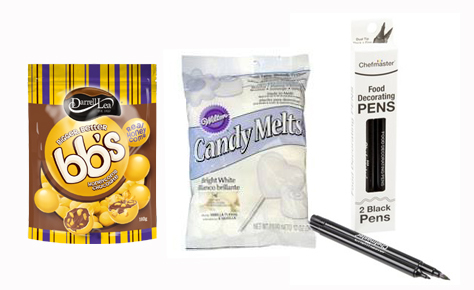 I melted my white candy melts in the microwave, using my Wiltshire chocolate melting pot…they are no longer available, but I found a similar one on The Goodguys site. They are so quick and easy. I then poured the melted candy melts into a ziplock bag, cut a little of the corner off and piped some of the candy melt onto the bottom of my ‘yolks’ and stuck them to some baking paper. Then piped some more around them, to make them look more like eggs. 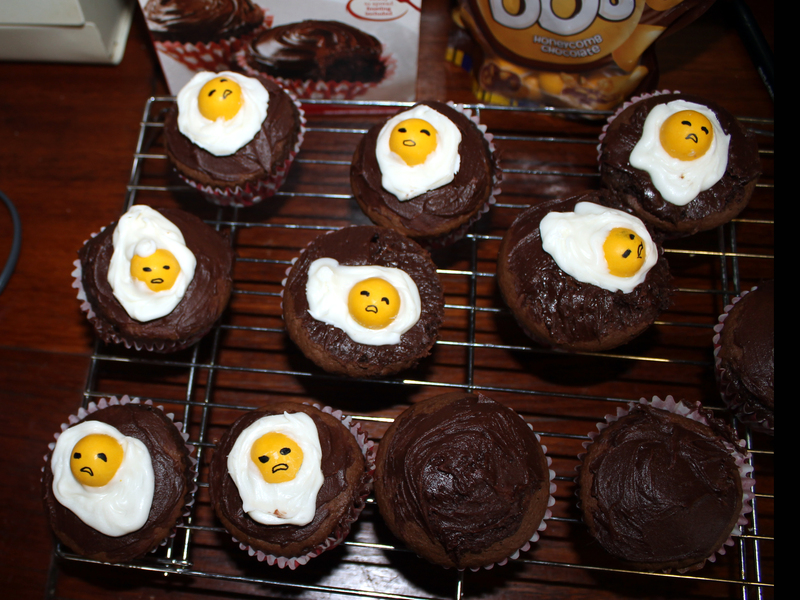 I hope you like my Gudetama Easter Cupcakes…do you bake anything for Easter long weekend?